Read along to see how I cut it! Note: Layered Umbrella and Layered Candy Corn are also available for download! While walking through the aisles of Home Goods (where I found some accessories for my workspace that I fell in love with, check out my Instagram) I decided I needed to further update my home decorations. I didn’t see anything that was really ME, though, so it came to what it always comes to. Do it yourself, Echo, time. First I dreamed up what I wanted to create, then I dreamed it up all over again in Illustrator. Never you mind what’s in those ’empty’ art boards! 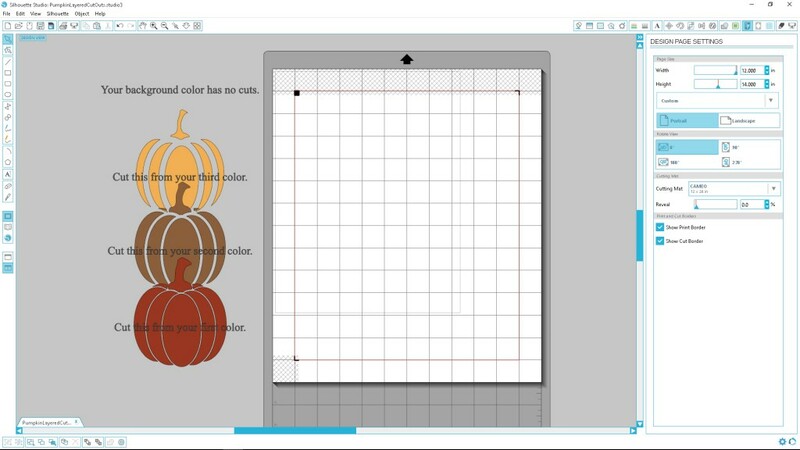 I exported my idea to Silhouette Studio and after a lot of effort came up with the process to create what I was imagining in the simplest form possible for sharing. I came up with a lot of much more complicated ways to cut this before this method. This was probably the most obvious in the first place, but, um… reverse engineering is hard? 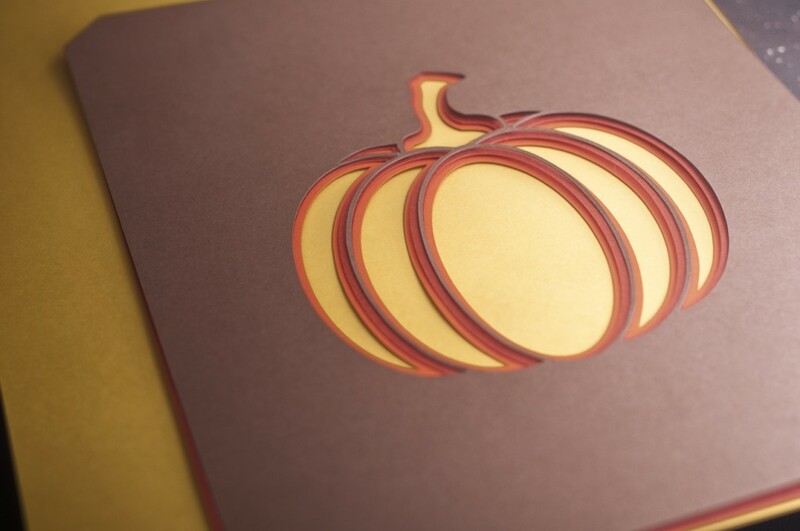 From the Spice Market 65 lb cardstock pack by Recollections (available at Michaels) I selected 4 colors for my art. I sorted them in the order I desired (my thought process for selection being, foreground non-pumpkin color (kind of a ‘background’ color, but this is done backwards so the foreground layer is the background color), pumpkin shadow color, pumpkin body color and then pumpkin highlight color- do whatever works for you!) and measured my frame. 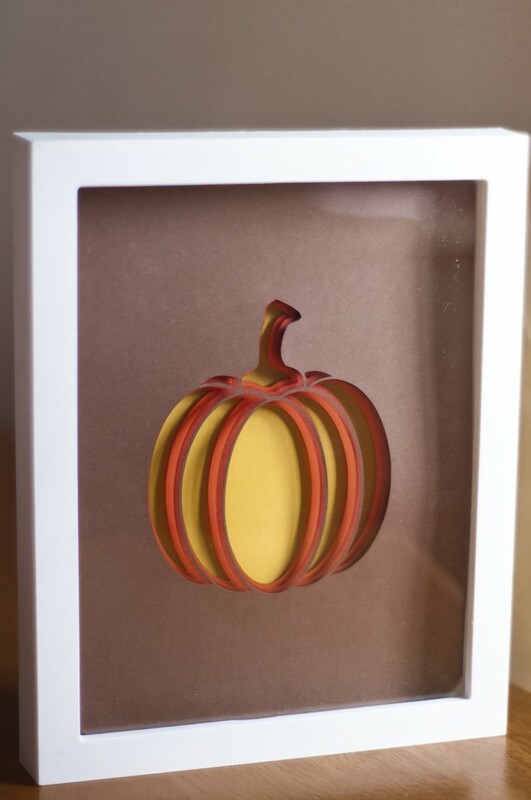 In Silhouette Studio I created a rectangle in the dimensions of my frame (mine needed the corners cut, so it was a little more complicated) and then centered the largest pumpkin cut in front of it. 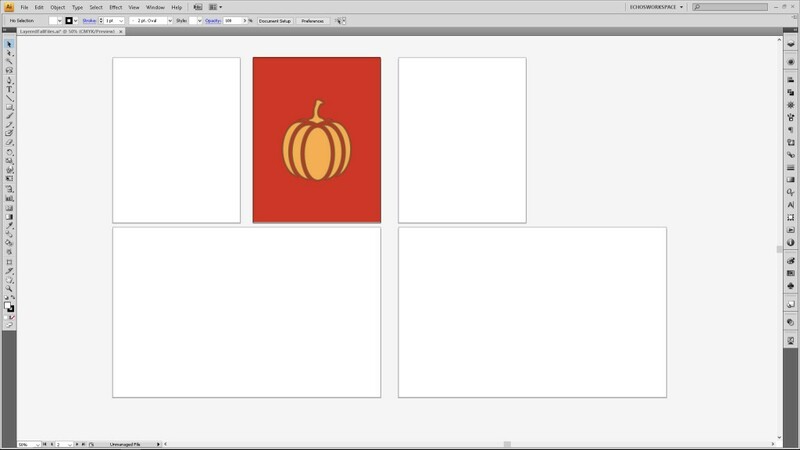 With my rectangle and pumpkin selected, in the Object menu at the top, I chose “Modify > Subtract”. I then repeated this process for the second and third colors. 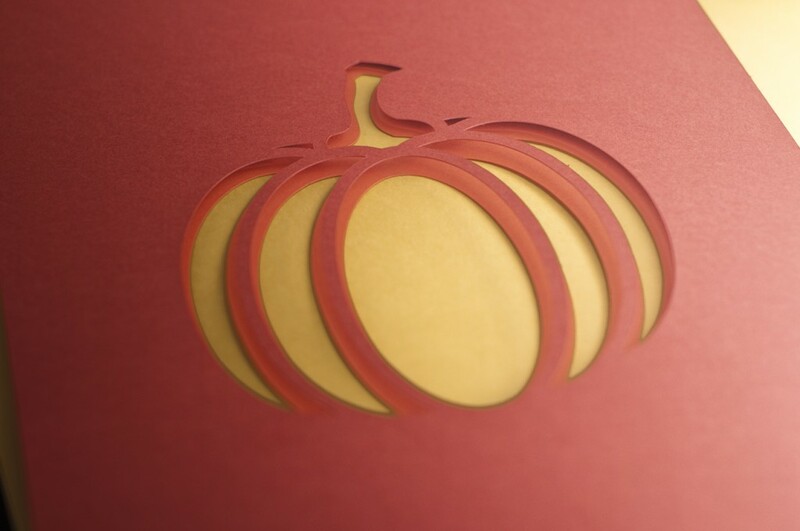 The fourth color, the one that has the most fill in my pumpkin, I kept without any inside cuts. For me this was the yellow. I simply sized it for my frame and cut it with scissors. 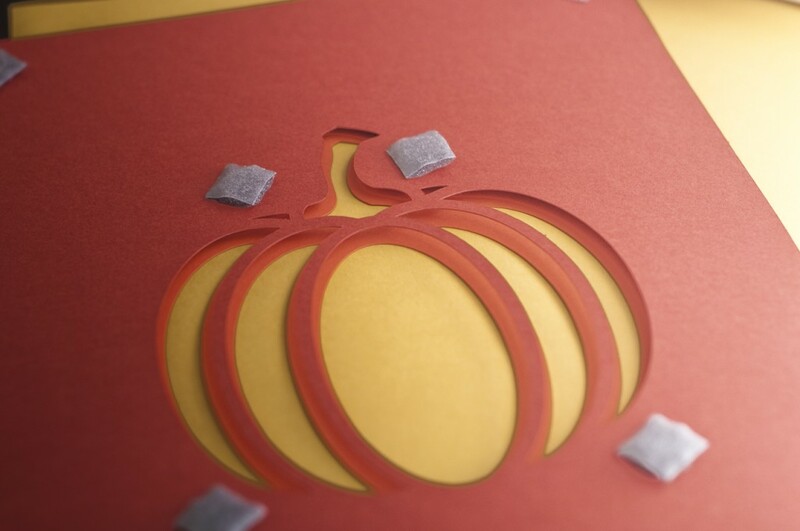 I’ve left notes in the Silhouette Studio file reminding you of the order and each pumpkin is double-layered so that when you have it on the mat you can reference it by color. I used Scotch brand square mounting tabs to put the pieces together. 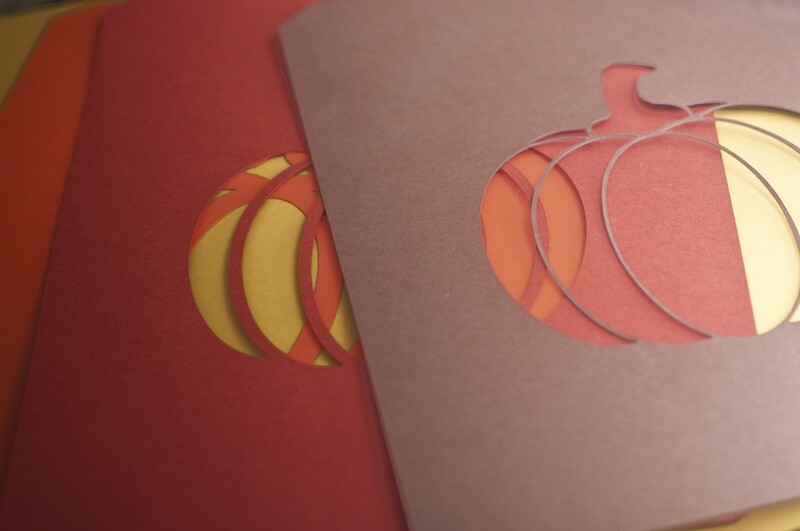 First we place adhesive tabs in the corners, then around the cuts to give them a little more support. 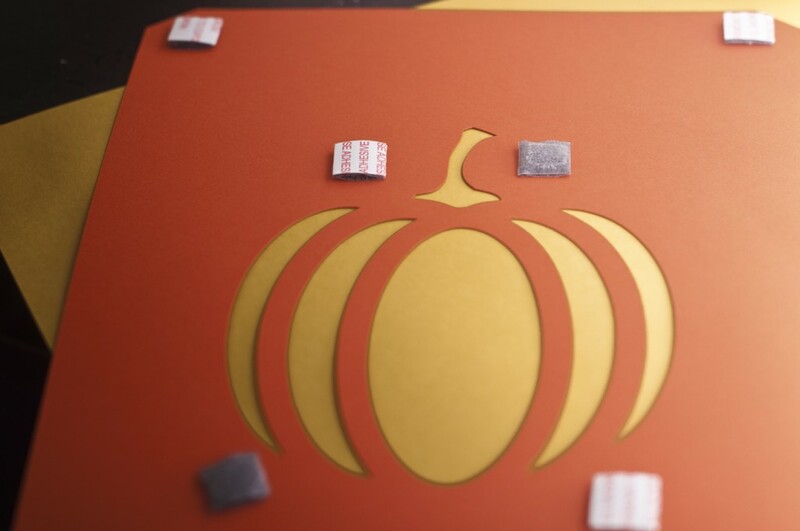 If we didn’t do the tabs near the pumpkins they are likely to slump in the middle and the same could happen in the corners. 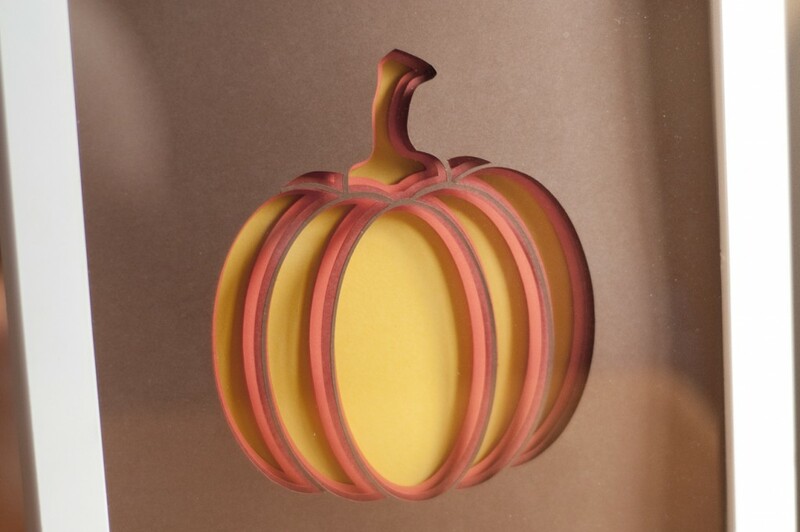 This is important to keep the depth and dimension in our pumpkin! Line up your next layer atop the tabs and then try to lay your next set of tabs in the same spots as the first layer. Try to keep them lined up on all layers, including your back layer. And there you have it! I’ll be adding a couple more cut outs to this for download this week. It’ll be a separate post, so no worries. Ready for that cut file? Don’t worry, 75% of my man-family (manily??) have praised this guy. One said it was ‘Beautiful’ and another saw it in a photo and asked, ‘Did you make that?’ ‘Yes.’ ‘That’s AWESOME!’ It looks even better in person. Trust me.